In the fall of 2013, three supermodels formed a coalition to force all major fashion week organizers around the world to include more women of color. 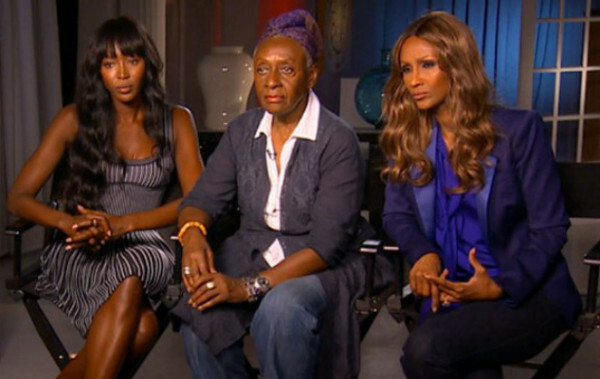 That coalition was formed by Naomi Campbell, Iman, and Bethann Hardison. Together they wrote a letter to the CFDA (Council of Fashion Designers in America), the British Fashion Council, the Camera Nazionale della Moda Italiana, and the Fédération Française de la Couture in France telling them about the importance of representing a diverse array of ethnicities on the catwalk and that there should be no excuse. “Eyes are on an industry that season after season watches fashion design houses consistently use…one or no models of color. No matter the intention, the result is racism,” they wrote. In an interview with ABC news about the ruckus they were causing, the women said the letter had somewhat of a desired effect because some of the organizers took notice and urged the designers involved in their fashion events to consider using more diverse models. Racism on the catwalk is not a new issue, but all of a sudden, after hearing three powerhouse women hammer home the importance of diversity, the world started listening. The fashion industry has long been seen as a beacon for the standards of beauty, style and trends, so when there is a huge void of varying skin shades, this problem needs to be addressed. Now with the added pressure of consumer voices affecting the industry like never before (fashion bloggers now sit in the front row of major designer runway shows alongside the likes of Anna Wintour) industry insiders can no longer use the excuse “ethnicity is just not part of our aesthetic” which has been heard far too often. 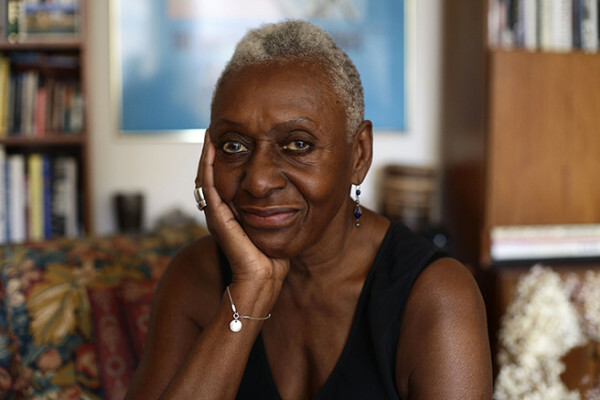 Bethann Hardison is a revolutionary herself as she has been championing the cause of models of color for many years. A model herself, she opened her own agency to infuse a bit of color into the industry. 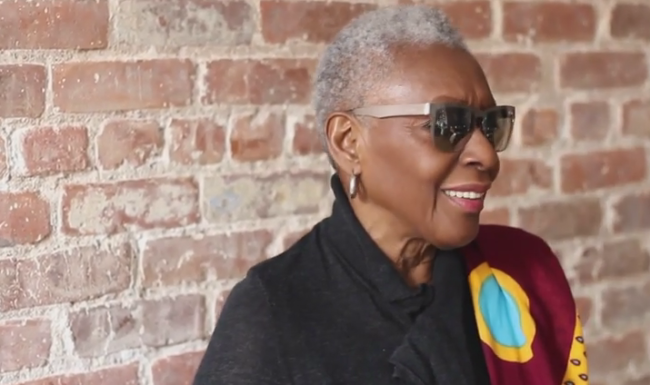 In an interview with Style Like U, one of our favorite fashion video series which is also being turned into a feature length documentary on the struggles of self-esteem and body acceptance, Bethann Hardison talks more about her cause to mother and daughter team Elisa Goodkind and Lily Mandelbaum in New York City. In the 9 minute video below, as she strips off one piece of clothing to answer each question (the signature piece of Style Like U series) Bethann starts off by saying a couple of boss things about body image and her style. 1. she is not worried about what her body looks like or fitting into the mold. 2. She doesn’t care to follow all the latest trends. “I’m not someone who follows the yellow brick road very well. I’m a non-conformist,” she says. Instead she likes to focus on other more important issues rather that filling her life with superficial things that don’t matter – like appearances. She reveals that she lives in Mexico because she wants to be reminded what it’s like to live with less and be content. We dig that! “Get rid of some of those things in your closet. Get rid of some of that junk on your shelves. Get rid of some of those books that you think you gotta have because it’s just clutter. Just lighten your load because those people who are really happy haven’t got a quarter of the things that you have,” she said. Bethann says the hardest thing she has ever done was start her own modeling agency, but growing up as a black woman in a white world, she says she felt a sense of responsibility to do it. She did get some push back and negative reactions from people within the industry, but that fueled her mission even more. Her agency represented black women, Latina women and a few Eurasian women also. Far from just being the anti-white agency representative, Bethann wants to educate her fellow fashion industry peeps about why diversity on the catwalk and pages of a magazine is about more than just ticking a box. Her efforts have clearly been resonating in the industry and beyond because in 2014 she received the CFDA Founders Award for her championing of racial diversity. She then that people were listening and taking action based on her own. “There are always going to be so many more white girls in the industry than girls of color,” she said. But she hopes with more awareness, and programs like Black Girls Coalition which she formed with Iman in 1988 long before they teamed up to champion change at fashion week in 2013, the diversity can start creeping in more and more. At the end of the day it is about the industry being representative of the real world, which she sees happening in television. “When I look at all of these series and see a character that didn’t necessarily have to be played by a black actor, I’m happy… It’s gotten so much more intelligent—an actual reflection of society— and that’s what I want for my industry,” she told Elle magazine in 2014.